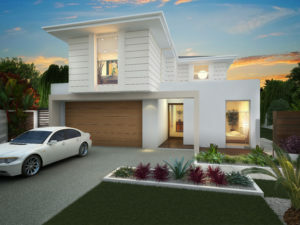 The Gaia is a traditional style home with a contemporary edge. The tasteful facade has a classic clean look, which is suited for a diverse market. 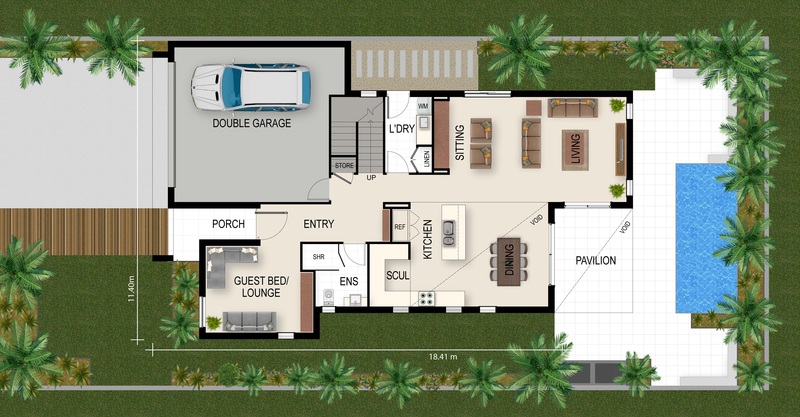 This residential designed home is perfect for the growing family or those who desire a sense of openness and space. The Gaia is adaptable to suit everyone’s needs, with a variety of optional living areas and bedrooms. Be welcomed as you walk through the spacious entry into the main living hub where you will be greeted with a fully functional kitchen and scullery that looks up into an impressive double story void. Open this grand space even further with the sliding glass doors out onto the pavilion as you become delighted in entertaining guests or spending time with family. All bedrooms are privately located upstairs with an optional space for a fourth bedroom or sitting room overlooking the void below. Enjoy the natural light provided by the void as you work in your personal I.T nook. The lavish master bedroom with ensuite features a large robe. The Gaia provides ample storage space and large bathroom catering for the second and third bedroom.